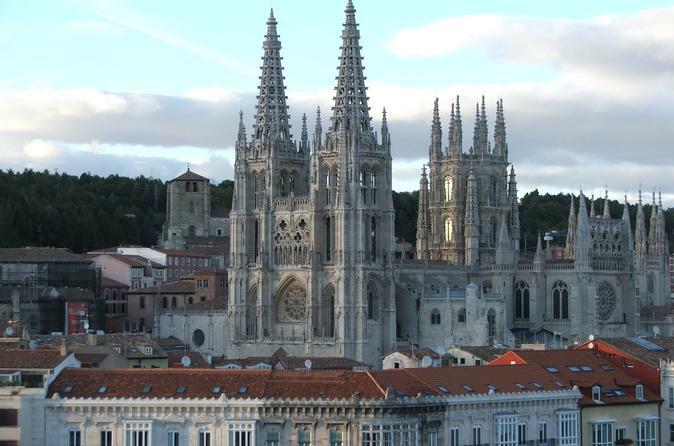 Arrive in the morning at the Madrid-Chamartin Station, and depart for Burgos at 08:00 am. Upon arrival at the Burgos train station, head outside, take a taxi that will be waiting for you to take you to the Plaza del Cid. The taxi company a few minutes before the arrival of the train to Burgos, will contact you by phone to confirm the collection and indicate the taxi number that will make the transfer. For the transfer back, presentation 45 minutes before the departure of the train in the Plaza del Cid, at the door of the Teatro Principal, a few minutes before the reception will be confirmed by telephone. We will send to your e-mail the train tickets and the bonus that you will show at the start point of the visit, you must print them.